Longford Comhairle’s main topics for 2018 year are as follows: drugs and alcohol, mental health/bullying, and student life. 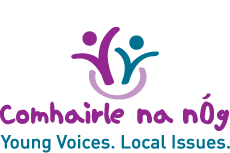 To address these issues, Longford Comhairle hosted #ComhairleCon2018 on 16th May: an interactive, innovative & informative conference focusing on the areas of mental health, substance abuse and student life. It was such a wonderfully varied day with talks & workshops on everything from leadership to yoga, from sports to entrepreneurship to the arts. Organisations involved included Creative Ireland Longford, Co. Longford Public Participation Network, Longford Sports Partnership, Shannonside FM, Longford Leader and Longford Mental Health Association, to name but a few. We were also in the St Patrick’s Day parade this year with the theme “Fighting for Youth Voices”. Longford Comhairle’s primary topic for 2017 was Culture, and in particular exploring the cultural aspects of Longford. We worked in partnership with the Creative Ireland Initiative which encourages cultural initiatives in every county to celebrate local culture, and with Longford County Council to develop a Creative Ireland programme for Longford. Creative Ireland is the Government’s Legacy Programme for Ireland 2016 – a five-year initiative, from 2017 to 2022, which places creativity at the centre of public policy. The key focus of Longford Comhairle na nÓg in 2017 was their event CAM fest in conjunction with Creative Longford. CAM Fest took place on Wednesday the 12th of July in Longford Town. The aim of CAM Fest was to showcase the best of Longford Culture during the busy week of the Leinster Fleadh. On the day, different representatives from many communities came together and celebrated the different cultures and ethnicities that are present in Longford through art, music, dance and dress. Our secondary topic was Student Life. We created a directory of companies in the county who are willing to take students on placement. This directory will be accessible to Transition Year and Leaving Cert Applied students, in addition to other school programmes requiring work experience. We think it’s a really useful resource. We have also been working on the topic of Self Esteem. We worked with the Longford Mental Health Association and Mental Health Ireland to reproduce and redesign a mental health booklet for families. This was launched at our AGM on 19th October 2017. 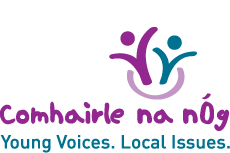 The video below showcases Longford and Westmeath Comhairle’s role in the Longford CYPSC (Children and Young People’s Services Committee) consultation process. This is our fab promotional video for Longford Comhairle. We guarantee you will want to join us after watching! A Health Promotion Initiative was Longford Comhairle’s focus of work in 2016-17. Our secondary topic was based on the 1916 Centenary and in coming up with new and innovative ways to commemorate it. For our Centenary Celebrations, we plan on commemorating 1916 by either commissioning a monument, or developing and making a video/play for Longford. Longford Comhairle Na nÓg commenced work on a campaign against homophobic bullying in 2015. As well as this, Longford Comhairle are redeveloping their “Longford 411” website, which will contain articles, information and events about all aspects of life for teenagers. Coinciding with this, the Comhairle intend on presenting their viewpoints in regard to the key social and economic problems in Co. Longford to our County Council. In 2014, Longford Comhairle na nÓg were working on the topic of bullying, with a particular focus on internet safety, and with a view to developing youth-friendly resources to combat cyber-bullying. Members took part in FAB FEB workshops as part of an anti-bullying campaign rolled out by Foróige, enabling us to get a clearer understanding of what cyber-bullying is and how Comhairle na nOg could apply their knowledge to prevent it from happening. At our AGM in 2013, we launched our DVD ‘Cyber-bullying Awareness’, scripted and acted out by our own Comhairle members, and which was directed and recorded by one of our peers Callum O’Brien. Longford Comhairle na nÓg have recently completed work on the topic of bullying with a focus on internet safety and cyber-bullying. We researched this topic with a view to developing youth friendly resources to combat cyber bullying in our area. The young people took part in FAB FEB workshops which was the anti-bullying campaign rolled out by Foróige. This enabled us to get a clearer understanding of what cyber-bullying was and how Comhairle na nOg could apply their knowledge to prevent it from happening. We recognised that every year young people beginning to use the internet are increasingly younger. The problem with this is the young people are not informed and as a result putting themselves at risk of cyber bullying. We produced and recorded a DVD on cyber-bullying to roll out to all the primary schools for sixth class students. We developed leaflets on Tips for Parents on what was online. Click on link below to view our Cyber-Bullying Awareness clip on YouTube.